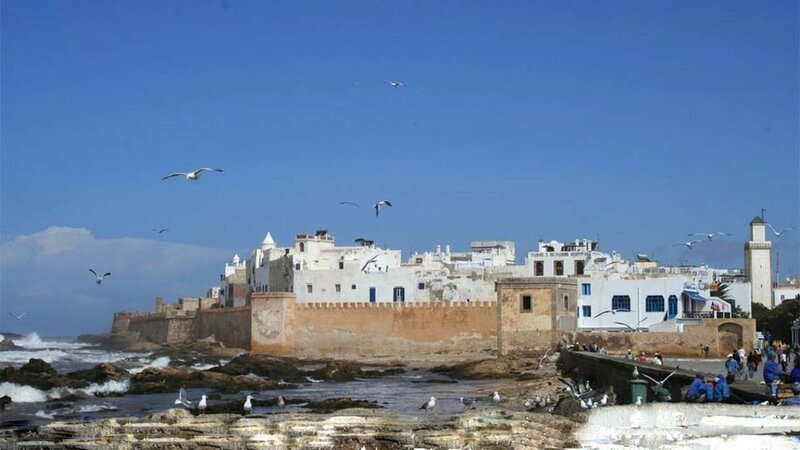 The beaches of Essaouira offer many interesting activities, just don’t expect crystal clear beautiful waters though. Walking along the beach, why not stop to take some sun at the Ocean Vagabond. It is one of the few places equipped to rent water-sports equipment (kitesurfing, surfing, and windsurfing gear). If that’s a little too exciting for you, just enjoy lunch among the beautiful blue buildings. If you’d like to have a go at riding a camel, dromedary, or ATV, ask for Rajid. He’s well known in the area and usually handing out by the quad parking lot near the Ocean Vagabond. If you can, be sure to go on a camel ride around sunset, the lighting and atmosphere at this magical time are really something special!